I went to a moving sale for an art store. They drastically reduced their prices so they didn’t have to tote everything over to their new location. I heard about the sale a little late, and it was a few more days until I had a day off and could go. This meant that the supplies I was looking for weren’t there – and certainly not the colors. I decided this was a good opportunity to try out new kinds of art materials as well as new colors. 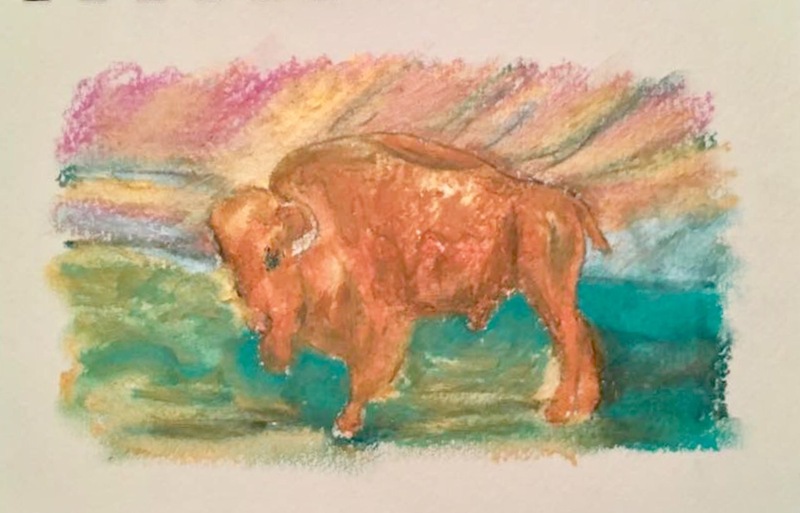 I chose a vintage postcard of an American buffalo (really, it is a bison) that a pen-pal sent. I made a limit for myself that I could only use the materials that I had bought at the sale, and only one material type per page. 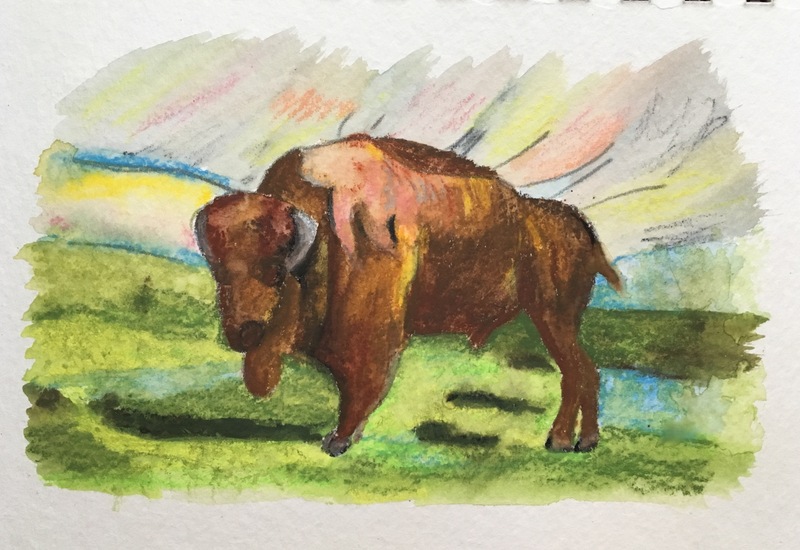 I used carbon paper to transfer the outline of the buffalo to my sketchbook. I will add more versions here as I do them. There is only one more medium to use from that sale, but I am enjoying this enough that I may continue doing this in other mediums – perhaps even in collage and washi tape. Here is “Jerry’s Artarama jumbo jet sanguine”, charcoal pencil, lamp black pencil, and Derwent onyx. This entry was posted in Artwork and tagged art supplies, buffalo, test. Bookmark the permalink.